We know that students learn at different speeds and within different contexts. We have been tasked with bringing these students up to grade-level material but without much direction. There is a better way. It is not uncommon for schools to allocate time in the schedule for math intervention, but typically the expectations are few and far between with little guidance and lack of support. I was in this position for several years and really did my best to utilize resources and work in small groups, but I couldn’t do it all. I did dream about what an ideal math intervention program might look like. Hands-on, small group focused, and individualized are all priorities so that you can meet every student where they’re at. What makes Maneuvering Math™ so different? Maneuvering Math™ is designed to target Tier 2 and Tier 3 interventions through small group instruction. Our framework provides a leveled structure so teachers can fill in gaps and build on foundational math concepts. 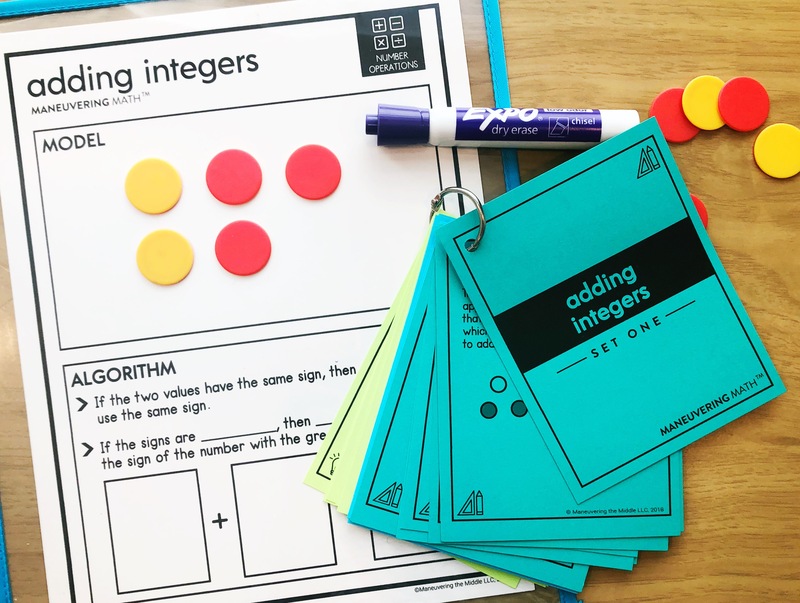 A number sense notebook with out-of-the-box questions that build numerical fluency, provide for mathematical conversations, have an entry point for all students, and can be used to discuss strategies and thinking. Many of the questions lend themselves to a number talk, too. Leveled sets of questions and interactive thinking mats for over 60 topics to facilitate small groups. 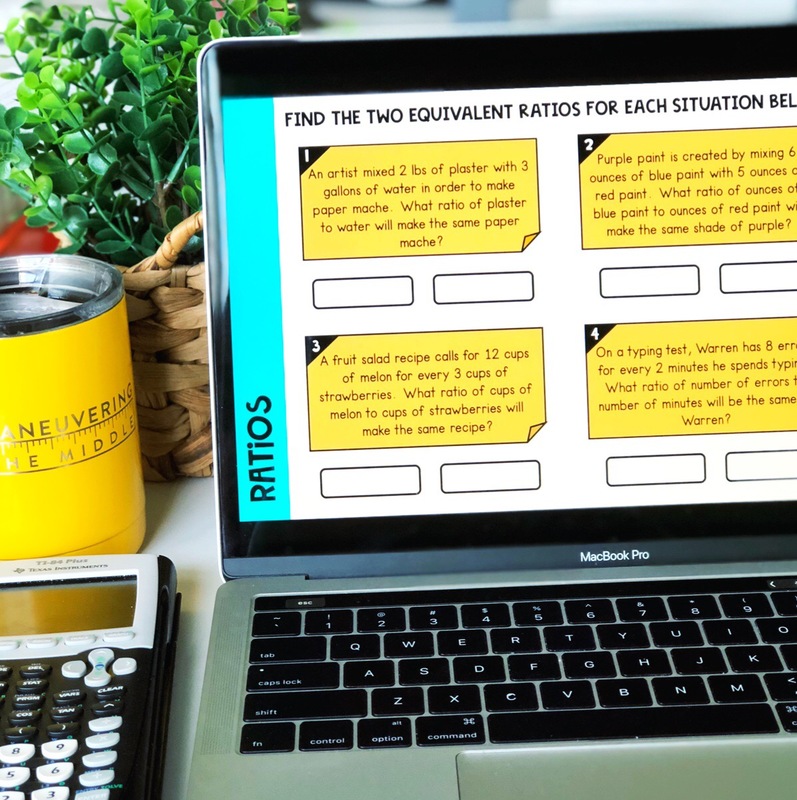 The question cards and mats will allow students a hands-on opportunity to build confidence and master skills while giving you the materials to facilitate learning, correct misconceptions, and meet students exactly where they are. Google Slides activities to help your students improve their skills in an engaging format. The digital activities are aligned with the small group topics, so that after your students leave the small group they can practice the same skills in an individual or partner setting. The digital activities will be added throughout the spring and summer of 2019. Meet your students where they're at! Will I recieve additional content? What kind of classroom is this for? Maneuvering Math™ is for math intervention teachers. When we designed the program, we had in mind a teacher who has at least a 40 minute class period devoted to students who are struggling with math content. You might be the second math class that students attend each day. You may be a resource math teacher. Ideally, you have a minimum of 40 minutes a day and are tasked with the challenge of filling gaps and bringing your students up to speed. Unlike many other educational resources, pricing is based on the number of teachers using the resources, not the number of students. Each teacher needs their own license regardless of how many classes or students they teach. See the examples below and if you need further clarification, please submit your pre-sales questions here. Does this align with the TEKS or CCSS? Maneuvering Math™ is comprehensive, so skills from 6th-8th grade (even some 5th grade review) will all be included. When we organized the content and determined the concepts to include we referenced both the TEKS and CCSS, while focusing on the essential math concepts. Unlike our curriculum which is standards-based, Maneuvering Math™ is skill-based. These key skills will support a student's ability so they can be successful with the standards. How is this different from Maneuvering the Middle® curriculum? 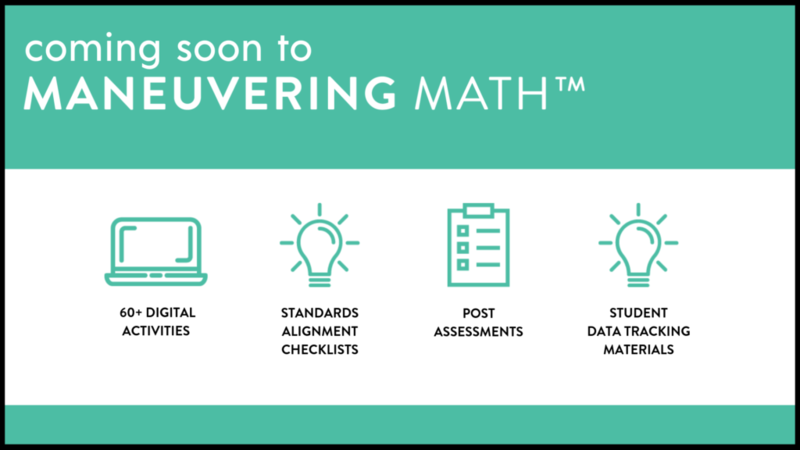 Maneuvering the Middle® math curriculum is standards-based and available by grade level for both the CCSS and TEKS. Those materials speak to the depth and complexity of the standards and include everything you need for all grade level standards. Maneuvering Math™ is a skill-based intervention program for grades 6-8. This is not a curriculum and will not cover each and every standard for 6th -8th grade. It does include key skills and topics (see above) to support Tier 2 and Tier 3 intervention. It is small group based and materials are leveled so that students can be working on the same skill, but at different levels. We know the standards are critical, so we have included a standards-alignment chart for you to reference. We have included a “Start Here” portion of the membership, to fully support your implementation of Maneuvering Math™. This training includes an organization of materials and how to get set up, a daily number sense routine teacher guide, and a getting started with small groups guide. What new resources will be included? As a member of Maneuvering Math™ you will receive access to current content and new resources. We fully believe in the ability to access everything that your students might need, so all materials are available for you as long as you maintain your membership. Be sure to see the graphics above for anticipated new content releases. What grade-levels is this for? We designed this program to include skills from 6th-8th grade (even some 5th as it pertains to number sense and numerical operations). Our best suggestion is to view the topics and skills above to fully see what is covered and ensure that it is a good fit for you and your students. No, it does require preparation to ensure that you have the materials organized and ready to go. Within the Maneuvering Math™ membership we have provided step-by-step videos and many different examples of how to prepare and organize the content. We will walk you through the process. Maneuvering Math™ is a subscription-based membership program with the option of a monthly or annual renewal. Once you join, your price will not change for the life of your membership. If however, you choose to cancel your membership and then desire to start again, you will not be able to rejoin at your original price. An active member is someone who is up to date on all payments. For more details on our membership terms and policies click here. We encourage you to read the licensing terms associated with Maneuvering Math™ prior to purchasing. We want to be sure that this is the best fit for you and your students. Yes, we do accept purchase orders. In order to provide you with a custom quote, please contact usto get the process started. Can you use grant money on this? Great question! Each grant is going to have specific requirements, so you will have to double check the specifics of the program. That being said Maneuvering Math™ is designed as a Tier 2 and Tier 3 intervention for students who have previously struggled in math content. Are you an approved vendor in my district? Feel free to contact usto check on our approved vendor status. We can easily complete the paperwork in a timely fashion. What manipulatives do you need for the program? We highly encourage the use of manipulatives, so that students can move from concrete to abstract understanding.